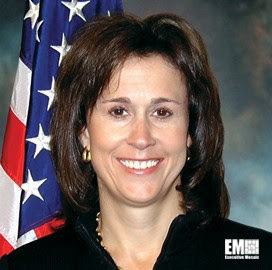 Two companies with large GovCon market footprints — a military services contractor and one of the world’s largest airplane makers — made long-awaited announcements this week on who would be their next chief executives. 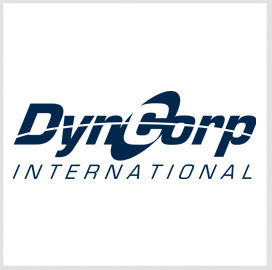 First, Falls Church-based DynCorp International said it appointed former Leidos and General Dynamics executive Lou Von Thaer as CEO to succeed interim chief executive Jim Geisler, who will become non-executive board chairman. 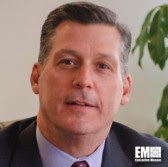 Thaer, an inductee into Executive Mosaic’s 2015 Wash100 list, led General Dynamics’ former advanced information systems business for 8 years before he joined Leidos in June 2013 as president of the national security sector. 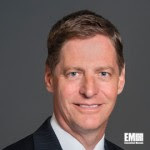 He discussed his work at Leidos in a January 2014 interview with ExecutiveBiz that also included topics such as the cybersecurity market and lessons on leadership he draws on from from his first job in the GovCon sector, an engineering position at the famed Bell Laboratories. “You could go up and ask anything to people that were just incredible engineers with long careers, and they would sit down, spend half a day with you, and help teach you,” Von Thaer said. 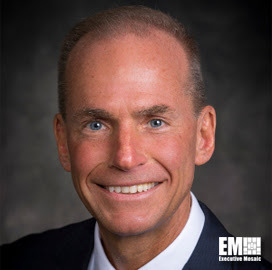 Also this week, Boeing said President and Chief Operating Officer Dennis Muilenberg will succeed Jim McNerney as CEO of the Chicago-based airplane manufacturer, which recorded almost $25.5 billion in sales during its 2014 fiscal year. 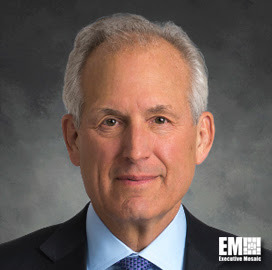 Muilenberg transitioned into his current roles in December 2013 after four years as head of the defense, space and security business segment and has worked with McNerney on corporate-wide processes and activities such as the company’s “One Boeing” initiative. The 30-year company veteran will officially start as chief executive on July 1 and retain the title of president, while McNerney will continue as chairman of the board. 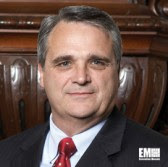 McNerney has held the CEO post for 10 years and plans to officially retire from the company in February 2016. 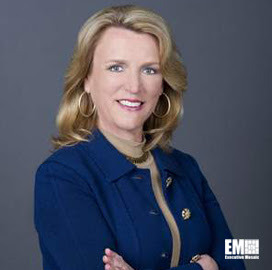 Air Force Secretary Deborah Lee James will give the Potomac Officers Club her perspective on “The State of the Air Force” at POC’s July 22 breakfast event in Falls Church, Va. as the forum’s keynote speaker. James became the Air Force’s top civilian officer in late 2013 after 11 years at SAIC. 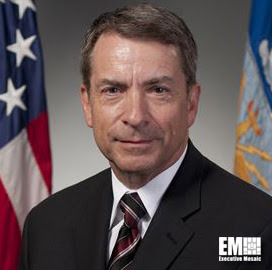 Air Force Chief Technology Officer Frank Konieczny will also address the GovCon executive audience at the event with many more speakers being lined up. Topics slated for discussion at the event will include priority programs for the service branch, its current budget posture and the private sector’s role in helping the Air Force equip its uniformed and civilian personnel. 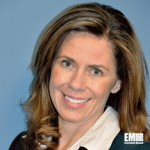 Prior to that, the Potomac Officers Club will kick off its summer “CIO Speaker Series” for industry and government executives to hear from federal IT leaders on their technology priorities. 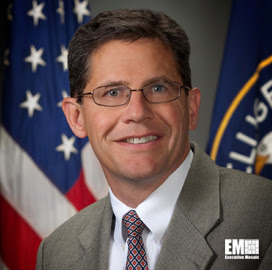 Doug Wolfe, the CIA’s chief information officer, will be the first federal CIO to address the POC at a July 16 breakfast event with Pentagon CIO Terry Halvorsen scheduled for August 6 and Transportation CIO Richard McKinney for August 20. 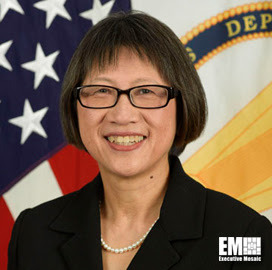 Heidi Shyu, the Army’s chief acquisition official, will address the POC September 2. Click here to register for these events and to view POC’s full calendar. 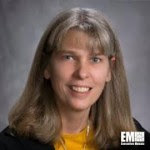 Felix will officially start at Vencore on July 20 and is a former CFO at Sotera and Vangent, both of which she led through initial public offerings. 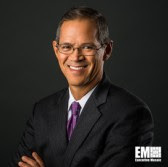 Hruby will hold the dual roles of director of Sandia National Laboratories and president of Sandia Corp., the Lockheed Martin subsidiary that runs the lab. The Air Force received 10 proposals for the six-year Air Force Contract Augmentation Program IV program. 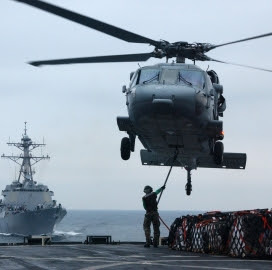 The company received a $219 million order from the Army to build vehicle-based nodes for the WIN-T Increment 2 program. 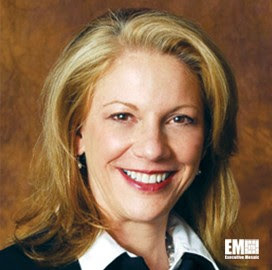 AECOM’s management services president also discusses the company’s geographical expansion aims in this interview with ExecutiveBiz. 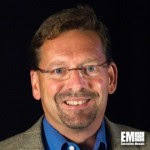 Oceus Networks’ chief growth officer also overviews mobile areas defense agencies are starting to emphasize in this Q&A. DigitalGlobe’s U.S. government business head says the new human geography product has more than 1,500 sources. Vencore’s CEO says the company’s contract to help Sandia make software continues a three-decade partnership between both entities. 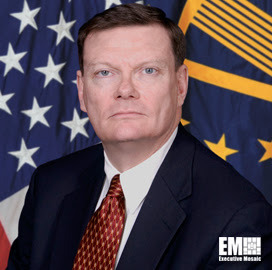 Davies, head of integrated technology services at GSA, says the agency will add current regional telecommunications offerings to the upcoming EIS vehicle. Big Blue will host federal workloads in Softlayer as the FCC plans to migrate from physical data centers to a cloud setup over the coming months. 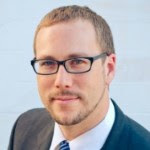 Sharpe, head of GSA’s Federal Acquisition Service, says FAS wants contracting professionals access to have more data through the new tools. NGA’s director told a GEOINT Symposium audience the agency wants these partnerships to help analysts with unclassified geospatial data. 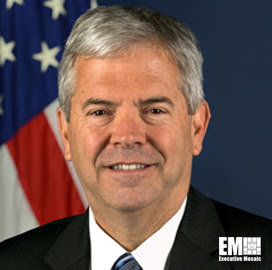 The Pentagon’s acquisition chief says cost and technical factors should be considered at all times in potential technology buys. 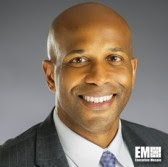 DHS’ assistant cybersecurity and communications secretary overviews the department’s push to deploy the new cyber tools at nondefense agencies. This entry was posted in Publishers Corner and tagged AECOM, Air Force, Air Force Contract Augmentation Program IV, Andy Ozment, Anne Altman, Army, Bell Laboratories, Boeing, Cal Shintani, CDM, Chris Marzilli, CIA, CIO Speaker Series, Deborah Lee James, Defense Department, Dennis Muilenberg, DHS, digitalglobe, Doug Wolfe, DynCorp, Einstein, ExecutiveBiz, FCC, Federal Acquisition Service, Frank Kendall, Frank Konieczny, General Dynamics, GovCon, GovCon Exec, GSA, Heidi Shyu, IBM, Jennifer Felix, Jill Hruby, Jim Garrettson, Jim Geisler, Jim McNerney, Leidos, Lou Von Thaer, Mac Curtis, Mary Davie, NGA, Oceus, One Boeing, Pentagon, Potomac Officers Club, randy wotring, Richard McKinney, Rick Ambrose, Robert Cardillo, Robert Work, Sandia, Softlayer, State of the Air Force, Terry Halvorsen, Tom Sharpe, Tony Frazier, URS, Vencore, Weekly Roundup, White House, WIN-T. Bookmark the permalink.